Talented Yoruba Actress, Yoruba Actress Taiwo Aromokun Serving In Taraba is currently serving her fatherland in far away Taraba State. 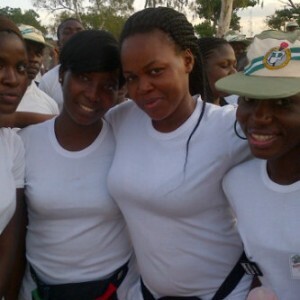 We learnt she was posted there few weeks ago for her NYSC service. May the Lord be with her. I pray dat God we protect her tru her service.